The Red Sox are heading to the World Series!!! But sorry, even under the best circumstances, there’s no free furniture happening this year at Jordan’s Furniture for those who took a chance this spring. I saw an old post, Jordan’s 2018 Red Sox promotion post, getting a lot of interest this week, but sadly, no freebies this year. 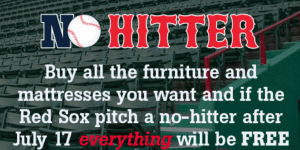 The 2018 Red Sox promotion from Jordan’s Furniture was relying on a no hitter after July 17 instead of a World Series win this year. There weren’t any no hitters after June this year. Did you buy furniture from Jordan’s Furniture in hopes of free furniture this year? Let me know if you know of any great World Series/Red Sox promotions this week! Let’s go Red Sox! Boloco is hosting Free Burrito Days in Boston this week! Order a mini or small for a free meal or pay $1.75 for a regular or $3.75 for a big bowl. A donation is encouraged to Boloco’s charity partner Positive Tracks but not required. Ghost Ship Harbor aboard the USS Salem in Quincy is rated #1 Scariest Haunt in 2017 by Fodor’s Travel! Ticket prices for Ghost Ship Harbor begin at $34.99 but prices vary depending on the night. There is also a $3 service fee for online purchases, but $5 more for tickets at the gate so online purchases are $2 cheaper. 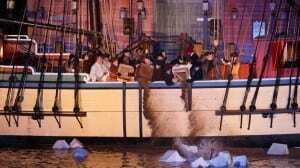 Goldstar Boston currently has discount tickets available for Ghost Ship Harbor starting at $25.99 + service fees for select nights. Keep in mind that Groupon also has this offer listed but the deal is actually Goldstar and aren’t eligible for Groupon promo codes. Also, keep an eye out for discount coupons at D’Angelos and other places for more discount ticket options! 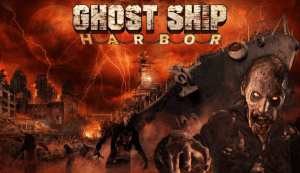 For more information about discount tickets through Goldstar Boston, please head here or for more information about Ghost Ship Harbor itself, please head here. Are you going to Ghost Ship Harbor this year? Have you been before? 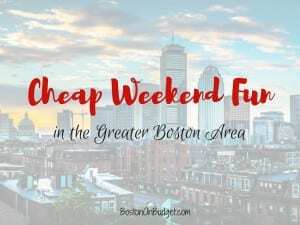 Cheap Weekend Fun in Boston for October 6-8, 2018! Opening our Doors: Monday, October 8, 2018. Opening our doors in the largest FREE day of cultural offerings for the family with free admission to the Museum of Fine Arts, Isabella Stewart Gardner Museum, The Mary Baker Eddy Library, and MUCH more! Free Ferry Day: Sunday, October 7, 2018. Hop aboard for a free trip to George’s Island or Spectacle Island for the last weekend for the season! Free tickets are from Boston only and will be distributed on a first-come, first-serve basis. 40th Annual Oktoberfest: Sunday, October 7, 2018 in Harvard Square. Enjoy this annual Oktoberfest with food from all over the world, arts, crafts, beer gardens, and the 13th Annual Honk! Parade on Sunday. OysterFest: Saturday, October 6, 2018 at The Lawn on D. Enjoy oyster shucking stations, Guinness Draft truck, live Irish music, games, and more! Bank of America’s Museum on Us: Saturday and Sunday, October 6-7, 2018. Bank of America & Merrill Lynch cardholders can get into select museums the first weekend of every month for free by showing their bank card (per cardholder, not family). Museum of Fine Arts, MIT Museum and other museums across the state participate.